Planet Aid Northern Ohio Delivers Prize to Earth Day Art Contest Winner - Planet Aid, Inc. 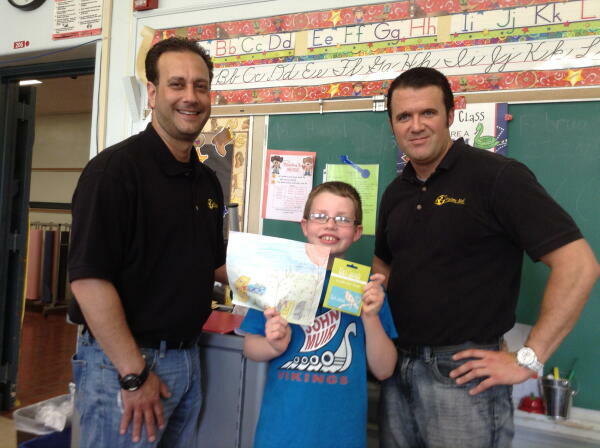 Planet Aid's John Kenny and Dan Deluca awarded third grader Noah from John Muir Elementary School a $25 art store gift certificate for winning the local Earth Day Art Contest. Congratulation to Noah, and thank you to all the students in the region who participated!